Late September and early October brought some lovely spring weather to Cape Town, South Africa. Since we began our travels, we had planned to make Cape Town our rest stop. After a summer of fast travel through Europe, visiting all the major sites, we were ready for a slower pace. We also needed some time to plan our next few stops, as we had not yet researched India and Asia. Nearly three weeks in South Africa would allow us to do that. 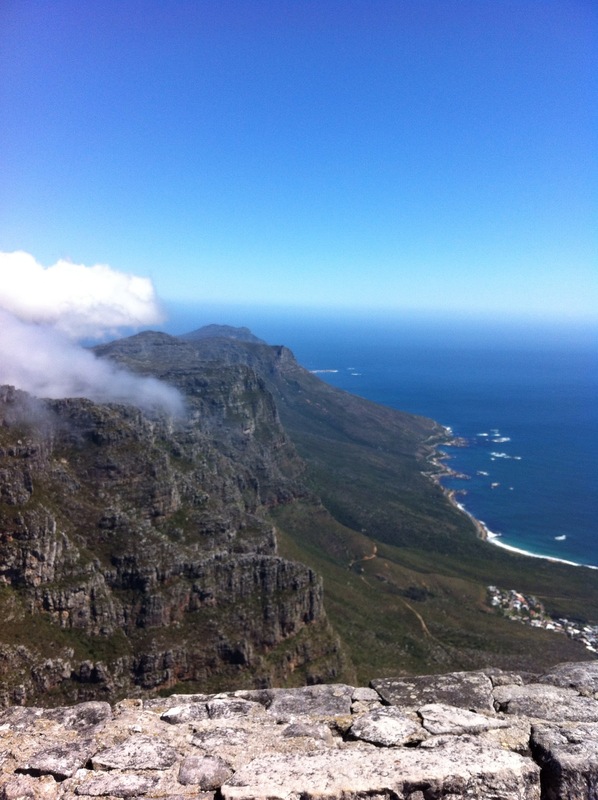 In Cape Town, we planned our first week stay in a city apartment. A friend of a friend set us up with a play date for our first day in the Cape. We met at a playground in the lovely Green Point area near the water and Boy loved the chance to run around with two other boys close in age. Over the next few days, we took advantage of the weather to get outside and go to the top of Table Mountain, overlooking the city, the central Company Garden, and the Kirstenbosch botanic gardens. A stop at the Two Oceans Aquarium showed us the way the creatures from the warm Indian Ocean interact with the cold Atlantic Ocean right off the point of Africa. 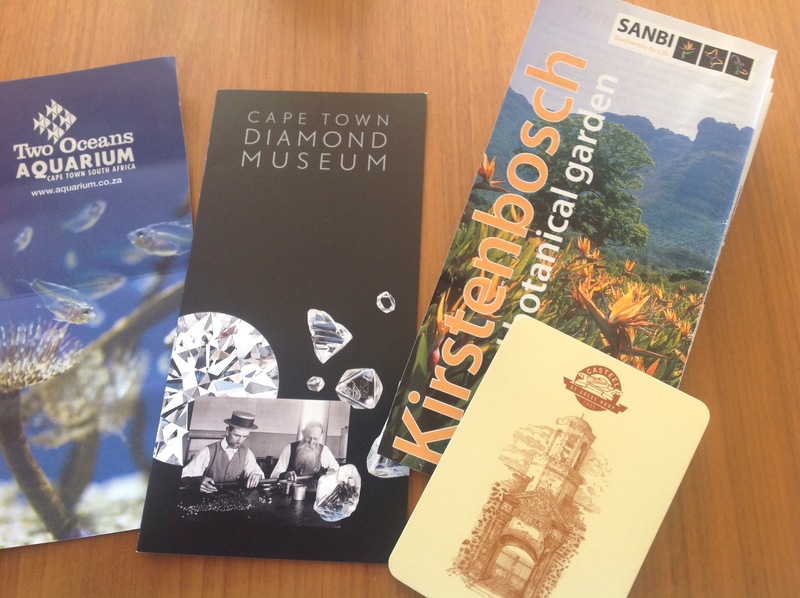 We learned about diamond mining at the Cape Town Diamond museum, and the history of the Dutch and English at the Castle of Good Hope Fort. The more interesting lessons, and more challenging ones to teach, were slavery, apartheid, and economic inequality. We started with Nelson Mandela, a figure we were introduced to at the Nobel Peace Prize Museum in Oslo, back in June. 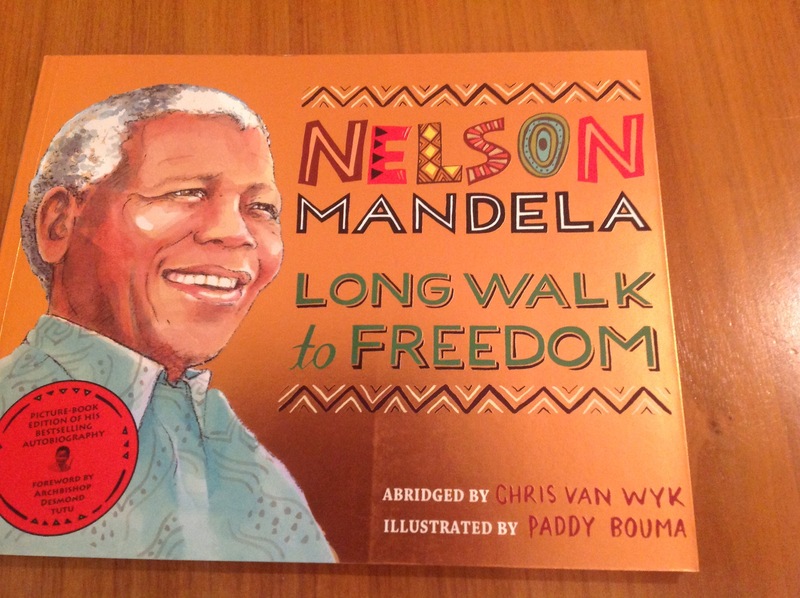 A lovely picture book of his Long Walk to Freedom and the Nelson Mandela book from the Scholastic “Who Was …” series got us started for school work. Together as a family we watched the movie “Invictus,” about the South African Rugby team and the way sport helped bring the country together after the end of apartheid. We stopped to take in the Slavery Lodge Museum, which covered the history of African slavery. Though a bit touristy, we also decided to take a minibus tour of a township to show Boy the shanty towns on the outskirts of the city. While I cringed at the exploitative aspects of township tourism, I also wanted to be sure Boy didn’t miss how half the population lives here, and to start having these discussions before we reach India. We had some good conversations this week, and I was glad to cover the material, but I am looking forward to moving on to next week’s studies of whales and penguins on the coast. This entry was posted in Africa, Roadschooling, South Africa. Bookmark the permalink. Wonderful report! We are enjoying your adventures–thank you for taking the time to write.